Fast food, street food, hand food, whatever you call it, food on the go is frequently needed by busy folks. I most often use it when traveling, but sometimes I miss a meal while cooking for clients. People ask how I could NOT eat while cooking. Of course I eat during a cook date. I always taste sauces and have been known to try a bit trimmed off the end of a roast or an extra chicken tender. That plus small bits of chopped veggies and water does not make a full meal for me. While travelling this spring I was reminded of one of my favorite foods to go, the macaroni pie. It is common in the UK, but I have not seen them in the US other than in British specialty stores (frozen). Simply a pie crust filled with macaroni and cheese. What is not to love? 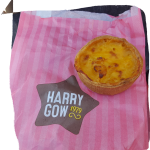 Easy handheld food, and comforting too! The one above was from Invergordon, Scotland and cost £.49 (about $.60 when we were there). I wish we could get these locally. British pie crust is different than ours, but oh so satisfying. 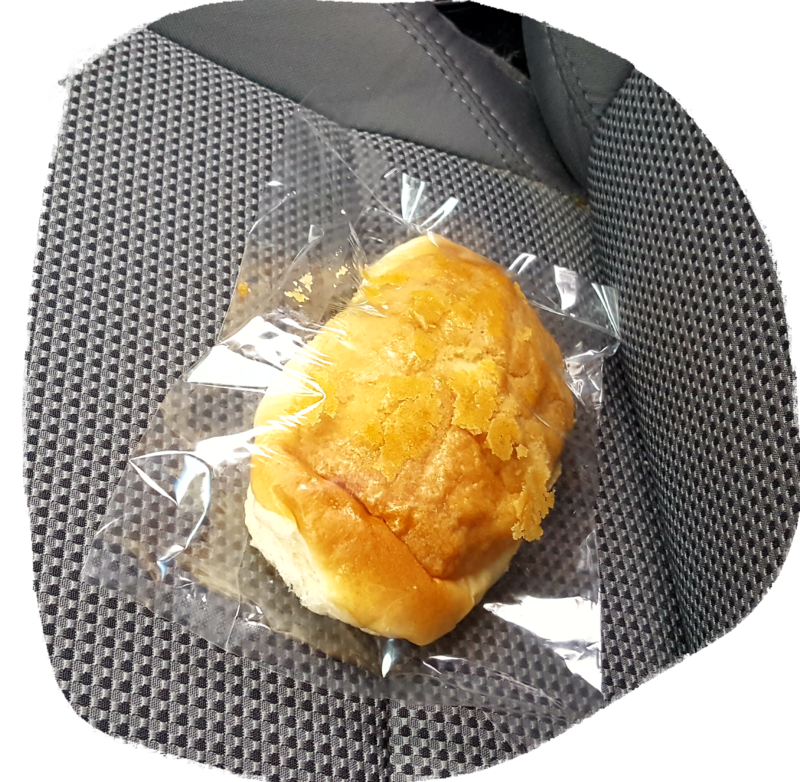 My favorite local go to snack, the coconut pineapple bun is a bit more messy to eat. The center filling is a paste of coconut sweetened with pineapple, similar in consistency to marzipan. The bun itself is like a fluffy challah bread. It is topped with a coffee cake type crumb topping. Crumbs everywhere when eaten, but it is still lots of fun! I get mine localy at Tea+ in Clifton Park. They are $1.59. 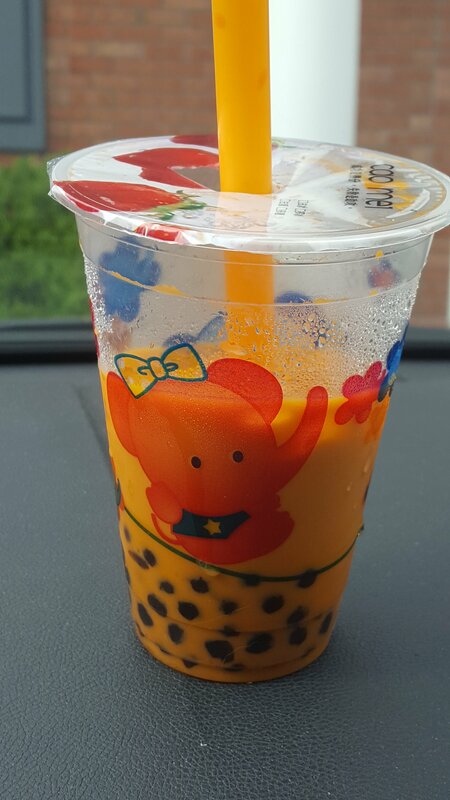 If I feel like really treating myself, I also get a bubble tea. Beverage and snack in one! They come in many fruit flavors, along with Thai Iced Tea, coconut and almond. To the chosen flavor one can add bobba (tapioca pearls, with a subtle licorice flavor), or fruit jelly. You then eat/drink with an oversize straw. It is a bit hard at first to not choke on the pearls if you get too many in one slurp. I first enjoyed them not on some far flung Asian vacation, but actually in Austin, Texas! I’ve tried making my own, but the pearls take a long time to cook and the pros do it better. So I like to save them for a treat.